Part II of A Birthday Meal is on its way. Promise. (Am I just in denial that I had a birthday?) 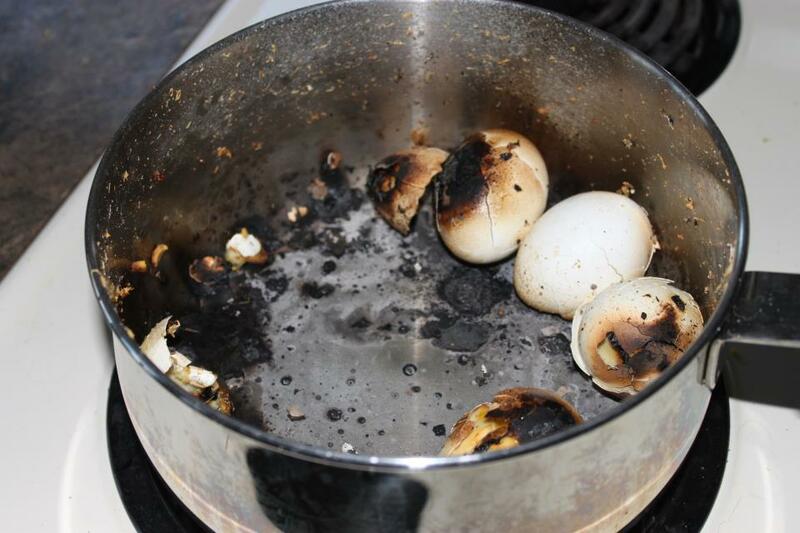 But I want to do a short break out session on cooking failures. 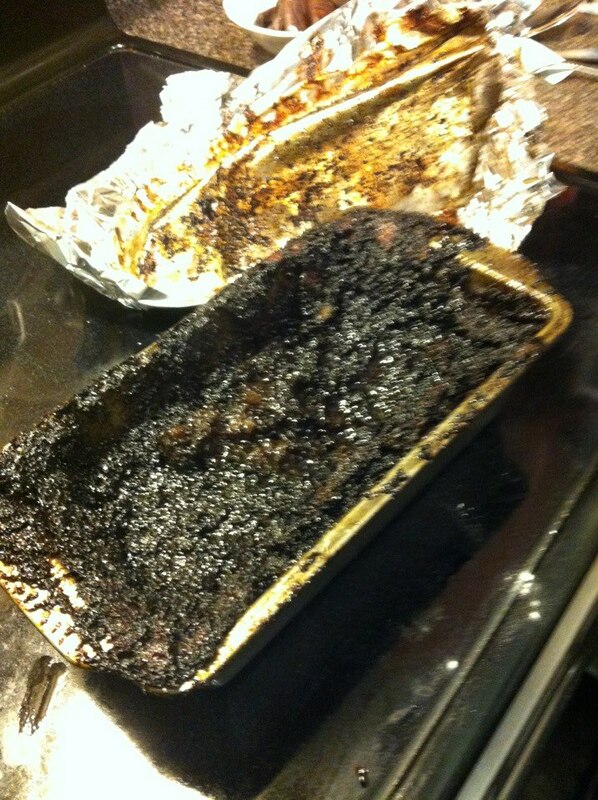 Fact: I have cooked more inedible than edible meals. I have felt the pain and disappointment too many times of scraping a plate full of food into the garbage and pouring myself a bowl of Cheerios instead. My failures in the kitchen have almost incapacitated me. In every other area of life, I would say that when I make mistakes big enough to be hashtagged #FAIL, I am always interested in the lesson behind it. What can I gain from the experience? How can I pick myself back up and carry on with new understanding? I’m most often curious about what made me fail, and eager to alter my behaviour in order to try again and #SUCCEED. Except when it comes to cooking. When I fail, it makes me want to hide or cry or smash something (nothing valuable). Having said that, I’ve learned the perfect cereal to milk ratio. Perhaps the trick is to be light-hearted about it. As I hope the following friends are when they find out I’m posting their cooking catastrophes for the world to see. 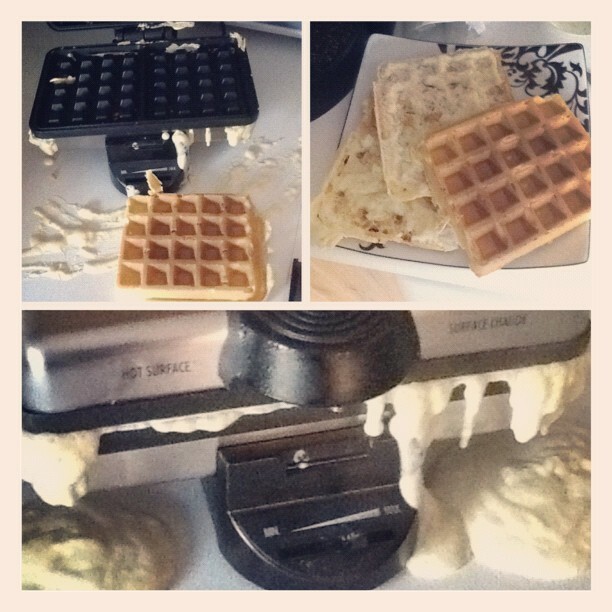 This is a waffle washout by Hillary H., newlywed. Hillary does everything with style, even overloading a waffle-maker. I was going to comfort her with my tales of newlywed dinner disasters… till I attended a potluck picnic where she managed to whip up no less than five non-failure dishes. I applaud her for putting this into a photo montage, but we aren’t fooled. The girl can cook. You know you are too easily distracted when…. Except Lisa doesn’t want to give up cooking. Lisa is even teaching me how to cook in less than a month. Lisa simply had a Loreli moment. Exploded eggs have that effect. The last entry is a recent one from Brittany, a 16 year old ambitious sweetie. Brittany, hopefully you and I can both pick ourselves, dust off our flour-free aprons, and try again. Haha! Love this post! I am flattered, really….but that waffle explosion was pretty bad. Who kills waffles? I thought the eggs were mushrooms!! !